STEP 1: Visit the LIC website at www.licindia.in. 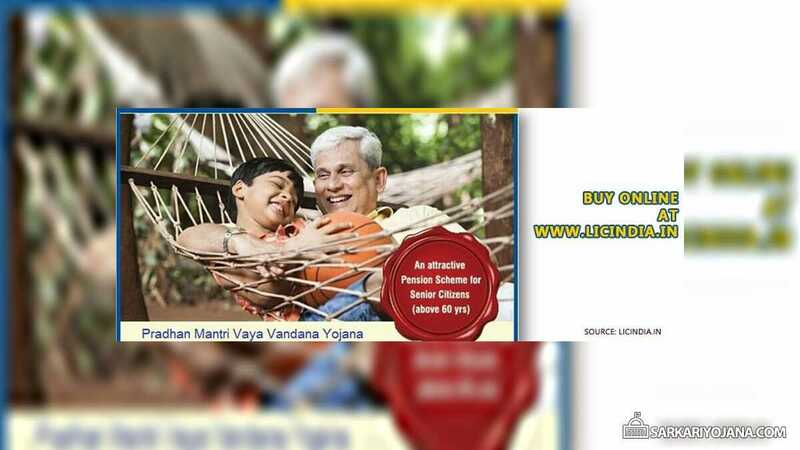 STEP 2: Click on the “Pradhan Mantri Vaya Vandana Yojana” banner under the buy policy online header or directly click this link. Quarterly 1,49,068 3,000 per Qtr. Quarterly 7,45,342 15,000 per Qtr. Pensioner would receive the pension at the end of each time period (monthly/quarterly/half-yearly and yearly) chosen during policy purchase. Pension would be transferred to the pensioner’s bank account through NEFT or AEPS (Aadhar Enabled Payment System). If the pensioner dies during the policy term of 10 years, the purchase price would be refunded to the nominee of the beneficiary. Minimum age of entry in PMVVY is 60 years, there is no maximum age limit. There is a minimum and maximum amount which can be invested under the scheme. Minimum pension under the scheme is Rs. 1000 which maximum is Rs. 5000 per month. Upon premature exit, 98% of the invested amount would be provided to the policy holder. However, it is allowed only under exceptional circumstances like critical/terminal illness of self or spouse. After completion of 3 years of policy, loan facility would be provided to the pensioner under which loan amount would be maximum 75% of the invested amount. The policy can be purchased by paying a lumpsum amount. No medical examination is required to buy the PMVVY policy. Is the purchase price of PMVVY Yojana received by the investor after 10 years(On termination of policy)taxable.Of course last pension amount received with purchase price is taxable.Please clarify.